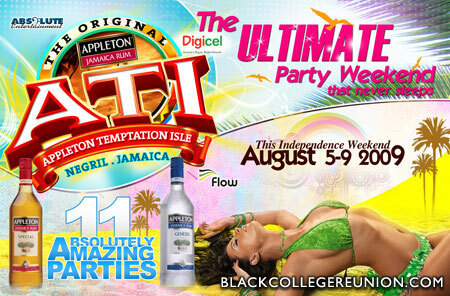 Red Stripe’s Dream Weekend will take place August 6-9, 2009 in Negril, Jamaica. This event is also know as Jamaica Indepence Weekend. This year the event’s organizers have chosen to combine A.T.I. (Appleton Temptation Island) and R.T.I. 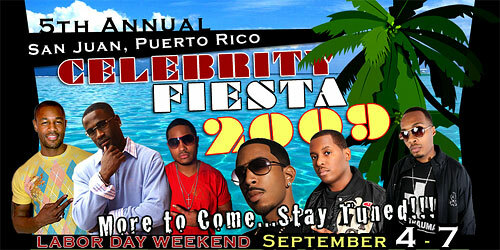 (Red Stripe Temptation Island) into one massive event. This way visitors will not have to chose which concerts or events to attend. You will need a passport to travel to Jamaica from the U.S.
Map of Jamaica – Negril is on the left corner of the island. If not familiar with Jamaica, take a shuttle to the hotel. Negril is a 75 mile ride from the airport. Reserve your air + hotel to Montego Bay, Jamaica here.